The new android market split us android owners into two camps, those who love it and those who hate it. There doesn't seem to be anything in the middle. Me? I love it. I think it looks cool, looks up to date and you gotta love swiping to navigate right? The darker colours also appeal to my emo side. 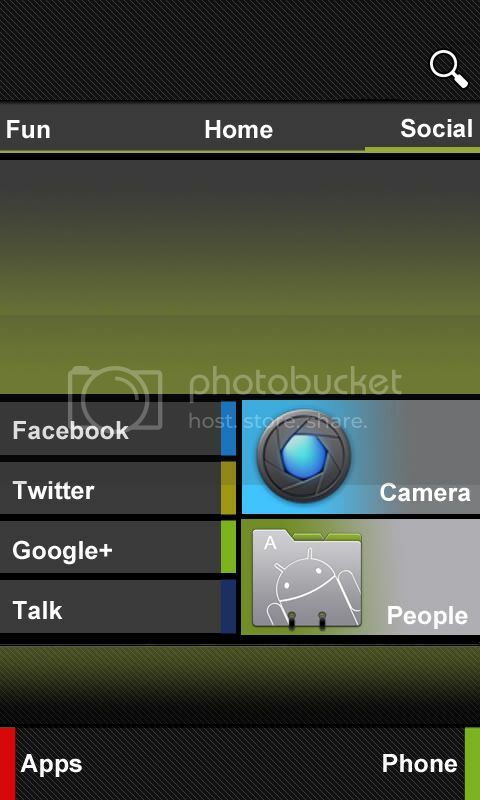 What you see above is a very funky and cool android homescreen design by @androidatnight. 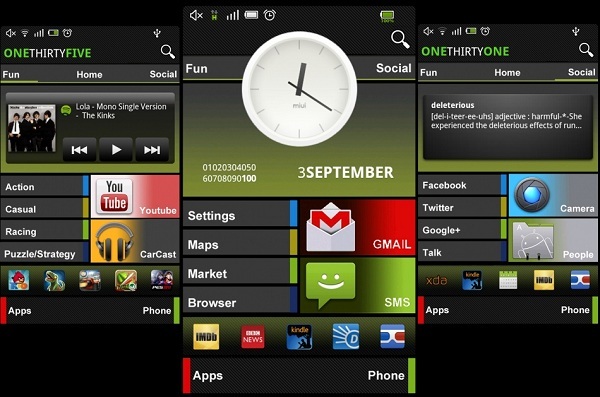 It's very much based on the new android market, and perhaps gives us an insight into what android might look like when we finally see the next version Ice Cream sandwich. What else is so cool about the design, and what really does show the true power of the android platform is the fact that anyone and everyone can do this. You don't need root, you don't need a comp sci degree. 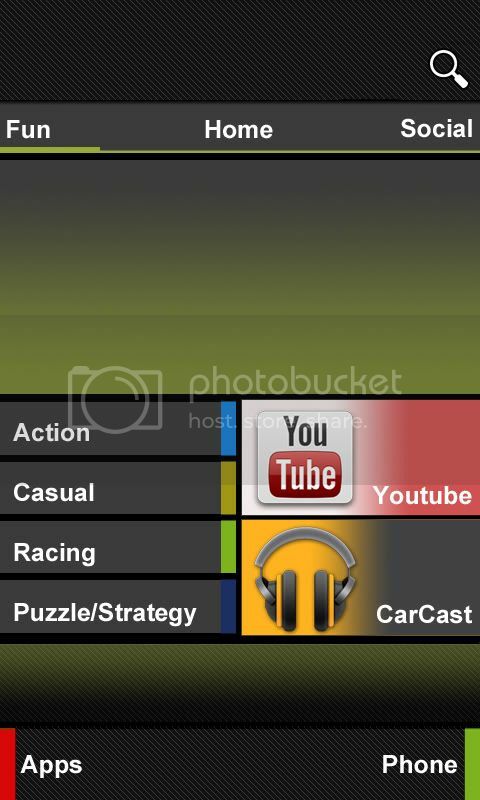 Anyone with an android phone can completely customise their device beyond recognition. if you want to set a dock in ADW to get the dock the dock image isÂ here. Set the homescreen rows and columns to maximum, set widget overlapping and widget stretch to fit grid. 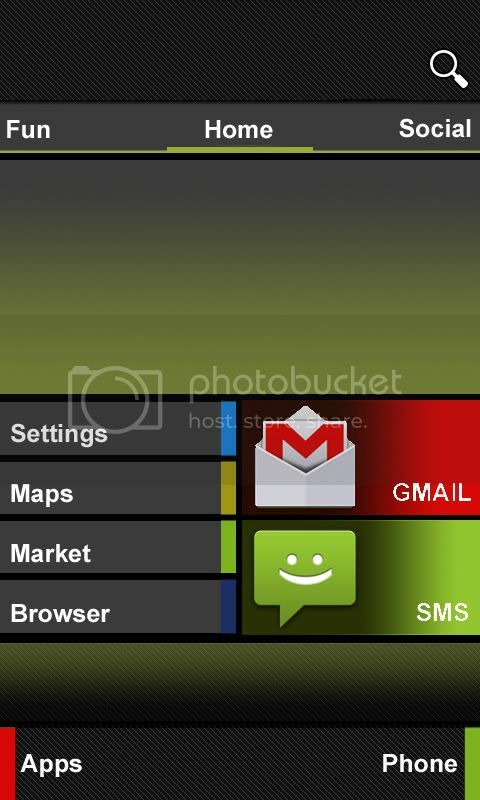 Place blank minimalistic text widgets on top of where there are icons on the homescreen (eg. over the gmail icon and search bar) and stretch accordingly. Use desktop visualiser to set up the apps above the bottom dock.